An iron phosphate bath fluid is composed of iron, phosphoric acid, water and an etching compound. These baths are used for applying a conversion coating to metal parts that need to be corrosion resistant. The iron combines with phosphoric acid and the surface metal of the part to form a layer of insoluble crystalline phosphates, which protects the part from corrosion. Iron phosphate coatings are widely used on metals designed for indoor use. The iron phosphate solution is either sprayed on the part, or more commonly, the part is immersed in an iron phosphate bath. In these baths, the temperature, time and chemical composition of the iron phosphate fluid must be carefully controlled to produce high quality and consistent results. A by-product of this coating process is a sludge that forms and settles to the bottom of the immersion tank. As more of this iron phosphate sludge accumulates in the tank, the coating process becomes less efficient. Thus, the tanks require periodic cleaning to remove this sludge. CentraSep Centrifuges offers a highly effective way to keep the iron phosphate bath fluid clean and sludge-free. The iron phosphate bath fluid continually circulates through the centrifuge filtration system, where the centrifugal force is more than 2,000 times the force of gravity. Even the smallest micro-particles of iron phosphate are removed from the iron phosphate bath fluid. The resulting clean fluid is then continually recycled and reused in the iron phoshate coating process. By properly and continually filtering and separating the iron phosphate particles out of the bath fluid, the coater is ensured of a smooth, efficient process, where perfect chemical balances and temperatures are maintained, and downtime is virtually eliminated. 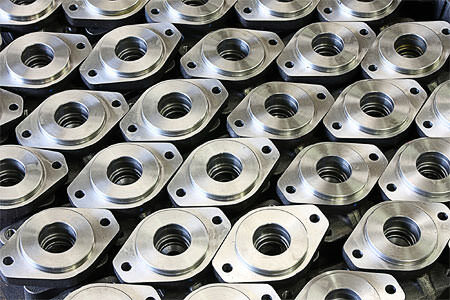 While the iron phosphate coating industry continues to become more competitive, it is important for a coater to establish any and all competitive advantages available. The coaters implementing CentraSep Centrifuges iron phosphate bath fluid filtration systems are seeing increased production, decreased costs and higher profits. Our ultra-efficient and effective iron phosphate bath filtration systems can dramatically and positively impact a coater’s bottom line. We have an experienced and dedicated team of Filtration Engineers, technicians and manufacturing personnel that truly understand the iron phosphate coating industry, and they are ready to work with your team to develop a centrifuge based filtration and separation solution that not only works extremely well, but one that requires virtually no maintenance. CentraSep Centrifuges is the proven leader in iron phosphate bath fluid filtration. Since 1981, CentraSep Centrifuges has specialized in solving filtration and separation problems through advanced science and application engineering. This problem-solving approach is showcased in our iron phosphate bath fluid filtration systems, where we listened to coater’s needs, studied their problems and developed the most effective process possible. CentraSep Centrifuges can offer you savings by reducing labor, filter media expenses, inventory, disposal fees and water replacement costs. Contact us today to see how CentraSep Centrifuges can help you with your iron phosphate bath fluid application. Eliminates tedious and expensive “pump and shovel” tank cleaning operations. Improves heat transfer in the coating process. Eliminates the need for media paper and its disposal fees. It is a fully automatic system requiring very little monitoring. Offers the lowest maintenance in the Industry. Maximizes your iron phosphate fluid life. Reduces your waste stream / recyclable waste. Constructed of 316 stainless steel (standard). Reduces pollution and environmental impact. Capable of separating solids to the single micron. Has an optional LIFETIME WARRANTY available. Incorporates the experience of numerous domestic and international installations. Talk to one of our Engineers today to see how we can help you with your iron phosphate bath fluid filtration and separation needs.